The double deck layout with front office is typically used to carry two cars of any size on the top deck, the lower deck is typically designed as workshop/drivers area at the circuit that will also carry two formula cars. 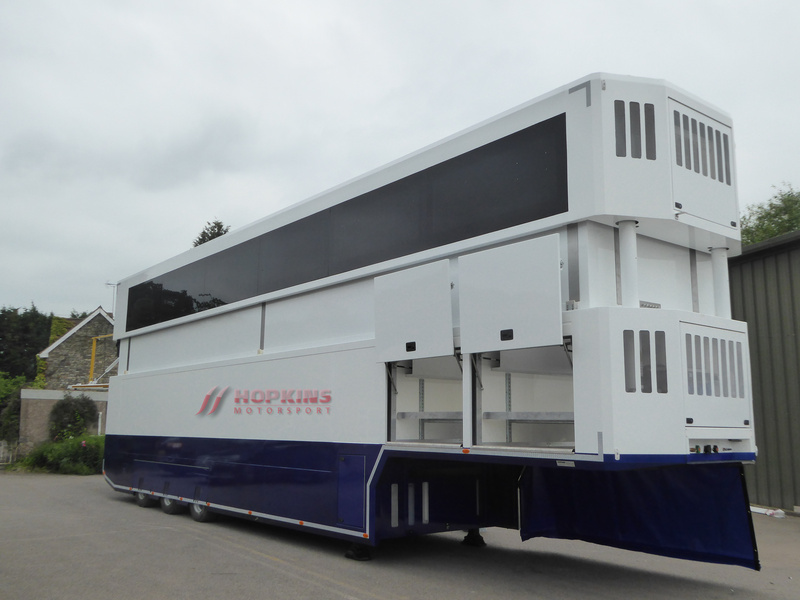 Hopkins Motorsport have built over 100 double deck transporters based on a 3 car top deck with various lower deck configurations to suit everybody’s needs. The advantages of a transporter with living can be huge in terms of costs saved by feeding your team in house at the event, cost saved in hotels or simply to reduce the time travelling to and from the hotel to the event. 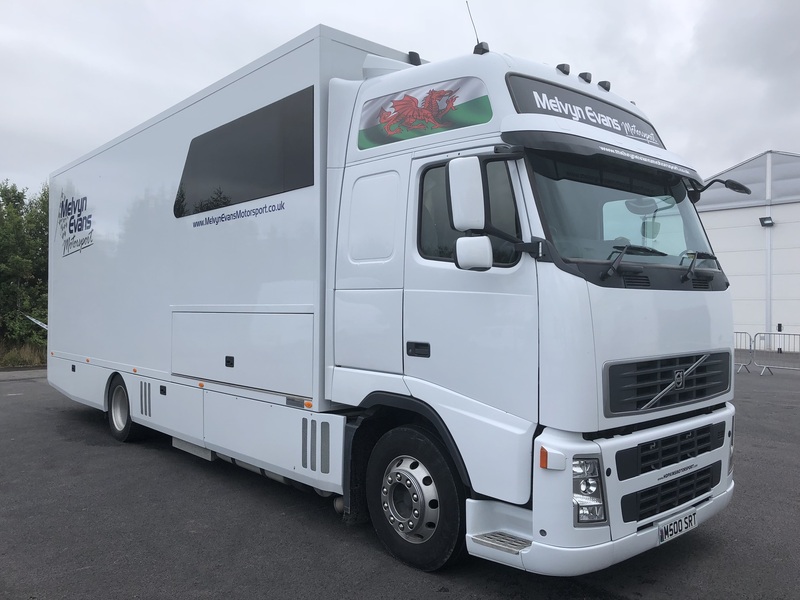 The build of a Hospitality vehicle goes hand in hand with the build of a race transporteras many teams competing in motorsport require hospitality to run alongside their race team to entertain corporate guests and sponsors at the circuit. 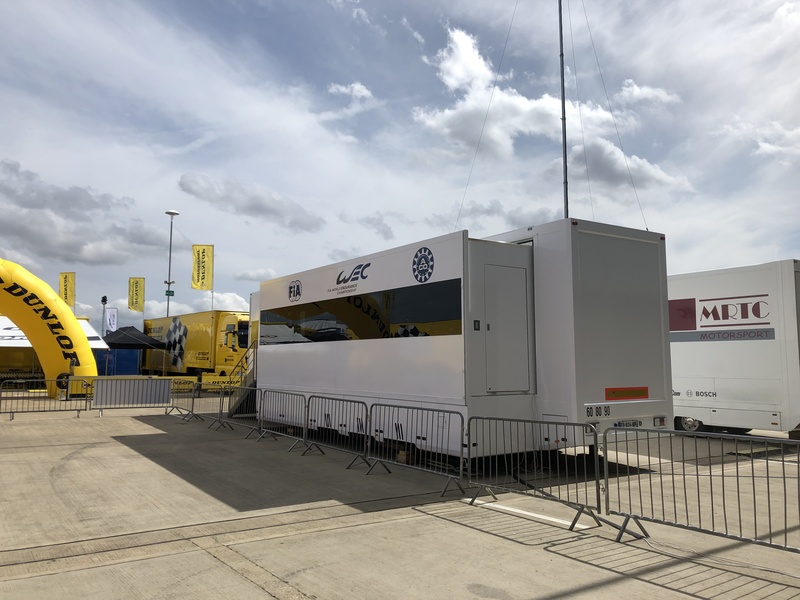 Our hospitality unit are now seen in many industries outside Motorsport we also supply part built units so the client can finish internally to their own tastes and or requirements. 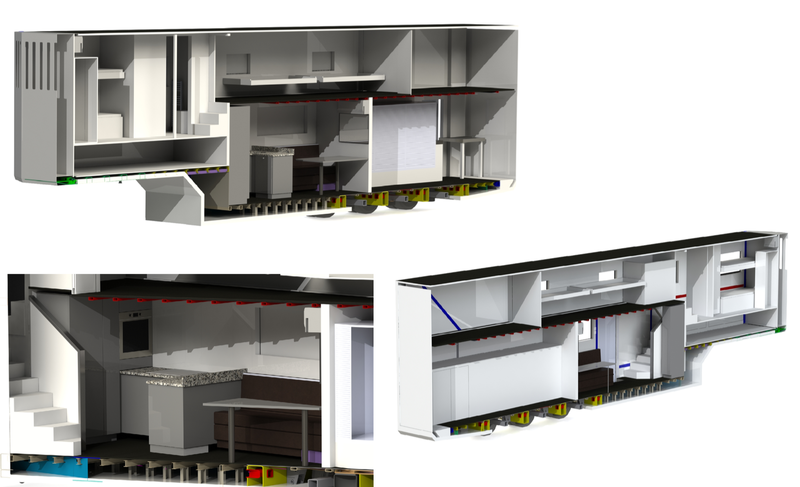 Rigid transporters can be based on any weight chassis taking into account loading capacity; they can be configured to take a maximum of four cars with no office or as two car transporter with office area and or living. 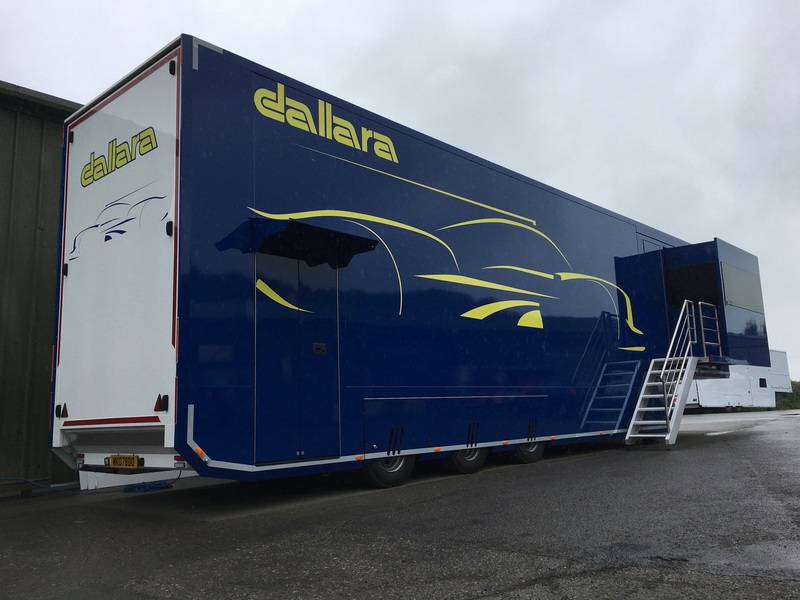 The world of rally has slightly different requirements to circuit racing, the larger European teams will operate with a mixture of artic transporters to carry cars and spares and separate units to accommodate engineers at the event. 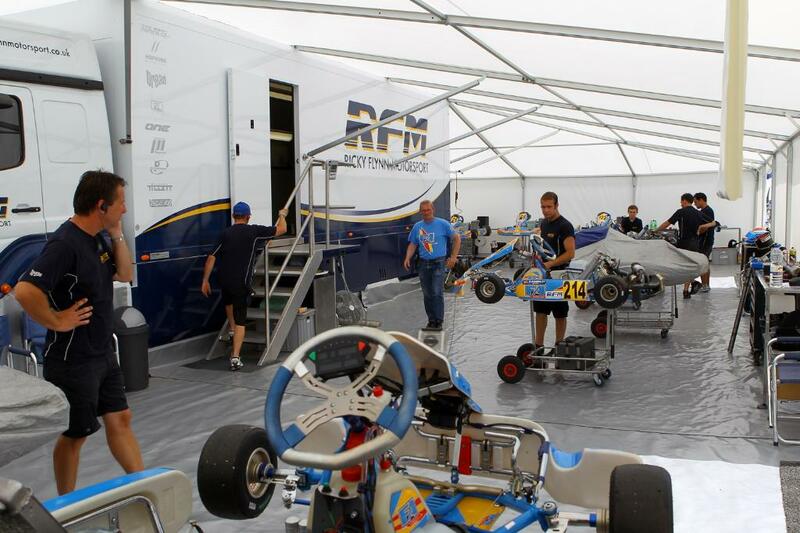 Many teams prefer the option of a dedicated rigid unit with easy up awning structures to accommodate the cars, this allows greater manoeuvrability in the service area and reduced set up time. 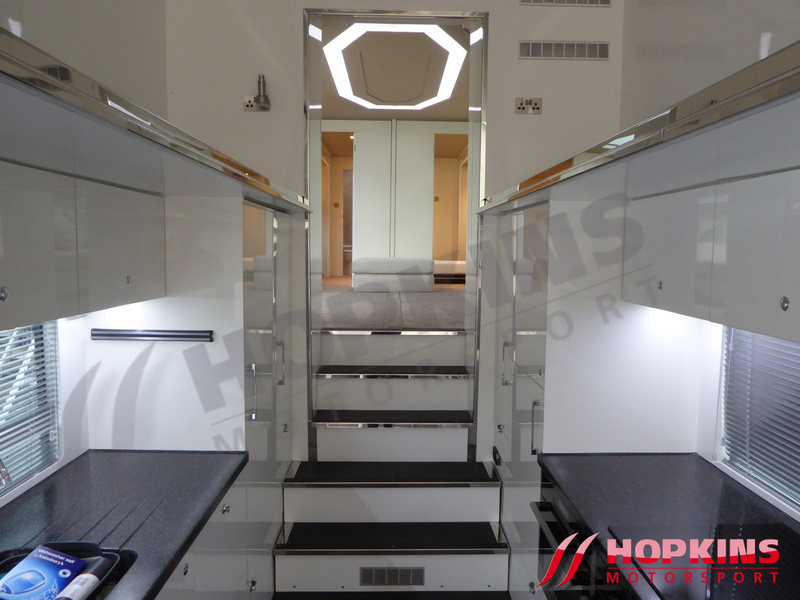 Hopkins designed Europe’s largest motorhome, taking bespoke vehicle solutions the next level. 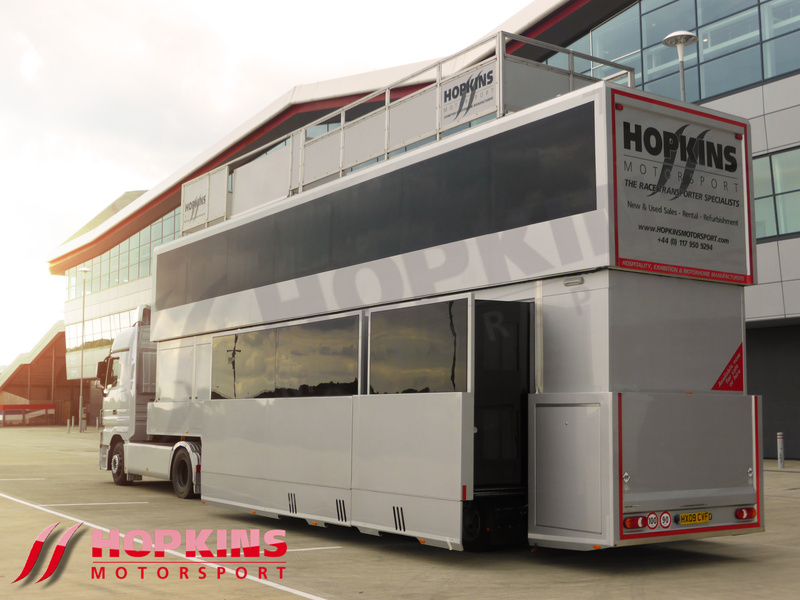 Hopkins build an extensive range of transporters and hospitality units, suitable for any occasion, on an off the race track. 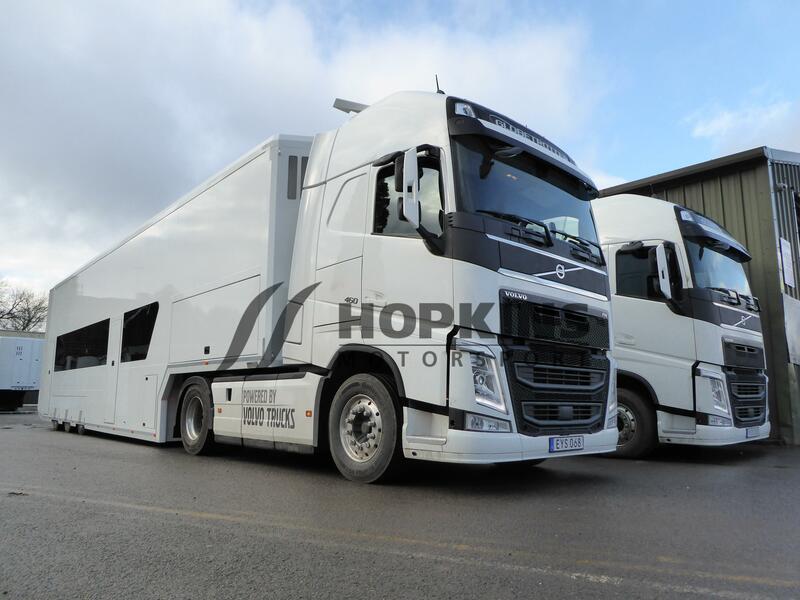 We have a selection of used transporters in stock, We can duplicate anything on our web site or manufacture bespoke to suit your requirements. Many of our successful designs were initially bespoke, we can adapt any of our designs to suit your requirments. 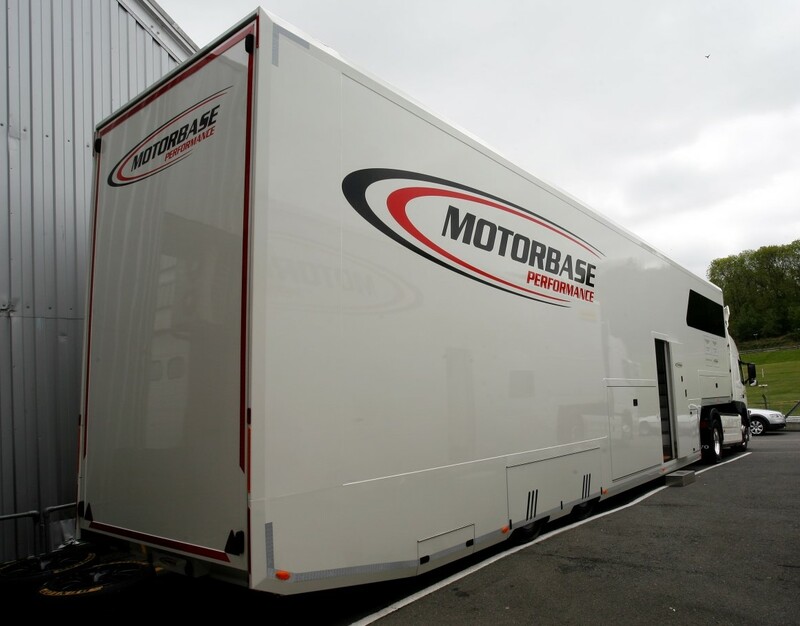 HMS have produced over 450 race transporters since 2002 making us one of the largest manufacturers of race trailers in the world. 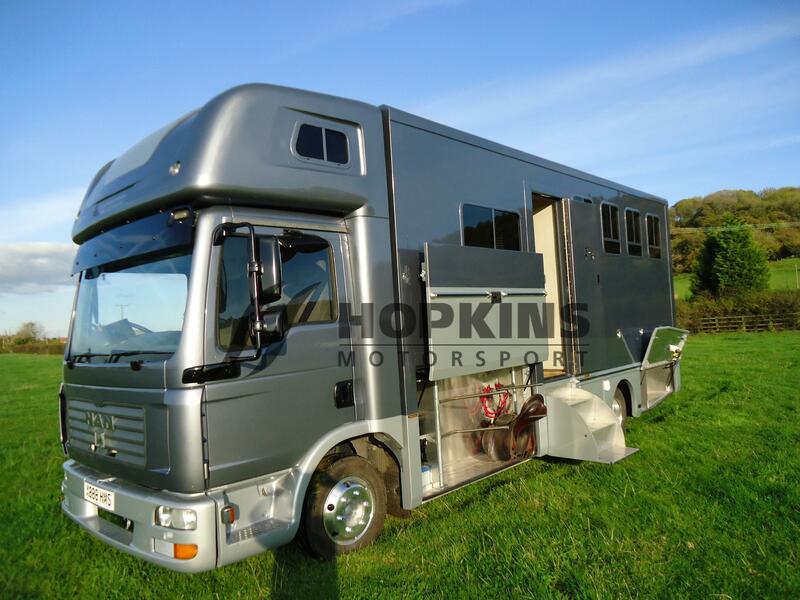 We have a proven comprehensive range of transporters to suit any teams requirements we can also supply a bespoke build to your own requirements. 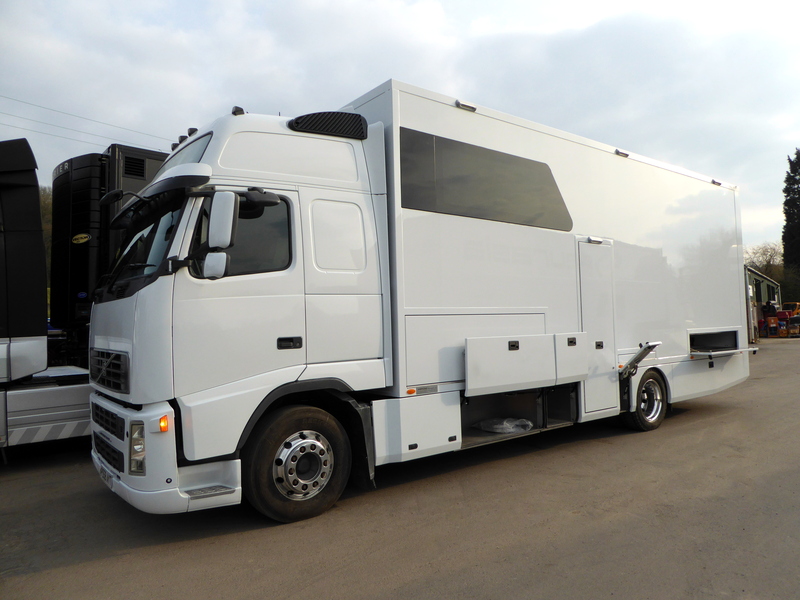 All of our current range of vehicles are fully drawn in Auto cad or solid works 3d solutions to minimise build time and to simulate all the teams transportation and race weekend requirments and also reduce set up time to a minimum.